Women across the world this August are abstaining from body hair removal in order to raise money for the charity Verity. Verity which works for people suffering from Polycystic Ovary Syndrome, of which excessive hair growth is a common symptom. The movement also encourages discussion on issues of social norms and impositions by the media regarding beauty, the nexus between femininity and body hair or lack thereof, and what is considered natural. Adolescent girls are taught hair removal as part of transition to puberty, like using tampons. It&apos;s almost like a right of passage. Is hair removal just a question of convenience and hygiene? Or is it ascribing to a popular construct of femininity, a process to ensure that your physical appearance is socially endorsed to qualify as beautiful? Obviously, with a billion-dollar beauty industry, it is outlandish to expect women to believe that their natural state can be attractive. And of course, it is essential that the female body aspires to be attractive. Very few women question the necessity of the act of hair removal; it is presumed that it needs to be done, and depending on your personal pain tolerance you choose between waxing, threading, razors, and cream, or lasers if you can afford it. And that&apos;s only removal. Don&apos;t forget the variety of underarm whitening creams you must treat your flawed bodies with. If you complain, you&apos;re reminded in a saintly tone of the price one must pay for beauty. Celebrities like Julia Roberts and Drew Barrymore have made headlines after unshaven public appearances. While tabloids and audiences scrutinized and judged these moves, some with unmasked revulsion, incidents like these help in legitimising the exercise of choice of over one&apos;s body in a culture obsessed with celebrity role models. 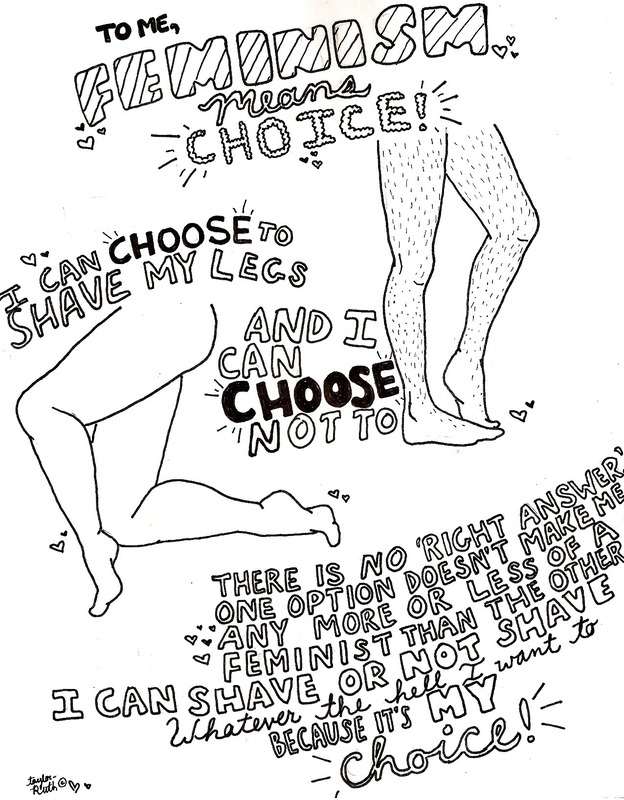 This brings us to the core of the body hair debate: choice. This drawing from Tumblr neatly summarises issue. To shave or not is a personal choice, and either choice is equally legitimate. That&apos;s a sound perspective, if not for the fact that one choice is simply easier and conducive to social acceptance whereas the other can simply label you as a freak. How much of our choices are actually free will, and how much is social conditioning disguising itself as individual choice? It is difficult for women, especially growing girls, to exercise that kind of choice, where their role models at home and in the media label hair growth as unsightly and dirty and where men stereotype feminists as unshaven, man-hating, and ugly. Many women are absolutely comfortable with their body hair unless they need to expose themselves in a public space or during sexual activity, and they then choose to remove the offending hair. So who are they shaving for? For themselves, for men, or for the billboard advertising the latest painless device? Apart from choice, there exists the questioon of equality. However much we might say that men and women both have a right to choose what to do with their bodies, it is true that men will never have to face public censure for those choices. Many men expect their partners to be hairless, but find the idea of reciprocal hair removal absurd. This sort of double standard, although devoid of explicit sexism, is highly problematic. On the other hand, there are several portals and fora which actively celebrate female body hair and cater to a section of men who find body hair sensual and attractive on women. Some well-intentioned websites advice women to embrace their natural state, because men find body hair attractive, because it releases pheromones and such. 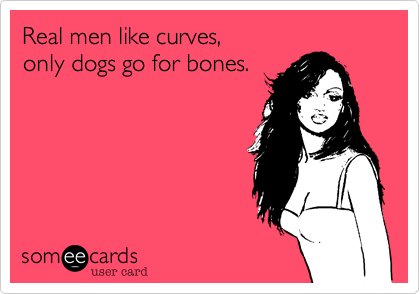 I find this akin to the Real Men Like Curves, Only Dogs Go For Bones slogan that champions healthy body image. Trying to popularize normal female physical characteristics by presenting them as being appealing to the male eye is counterproductive. Individual likes and dislikes must not be mandated at all. Curves and hair cannot be given that kind of importance within the ambit of identity. It&apos;s hair. Keratin. It grows, like fingernails. If you like your fingernails long, don&apos;t cut them. If you don&apos;t like hair on your arms, shave it. Don&apos;t be forced into something you&apos;re personally uncomfortable with, or have been always led to believe is a necessity. Shaving is not a requisite like medication. If you prefer that your partner shaves, be prepared for the idea of demonstrating that standard uniformly. If you prefer otherwise, don&apos;t let social norms dictate that you modify those preferences. The key is to make a choice, with full knowledge of what either choice entails, exercising complete agency, and shave if it makes you happy, irrespective of whether it&apos;s a choice you&apos;re supposed to make. If you want to go swimming on a good day, don&apos;t change your plans only because you forgot to wax this month. So, ladies, are you shaving your armpits this August?